This post is sponsored by The Home Depot. All text and opinions are mine and I only promote brands that I love and trust. Hello, friends! Are you thinking of adding some updated home decor to your living room or another room in your home? I've got plans for ours and have found everything I need at The Home Depot. Did you know that you can find much more than home improvement items there? Yep. 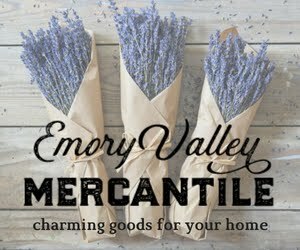 They've got an entire line of home decor items with multiple on-trend styles, making them a one-stop shop for all things home. You can find thousands of home decor and kitchen items from trusted brands like Kitchenaid, Home Decorators Collection, The Company Store, Calphalon and many more. I can personally vouch for ordering from them. I purchased an area rug for our living room a couple of months ago and was very pleased with the price, delivery time, and free shipping. And the rug is beautiful. The one I bought is HERE. We've been planning to give our living room/family room an update, so I was thrilled when I got the opportunity to work with The Home Depot to put together a plan for the room. 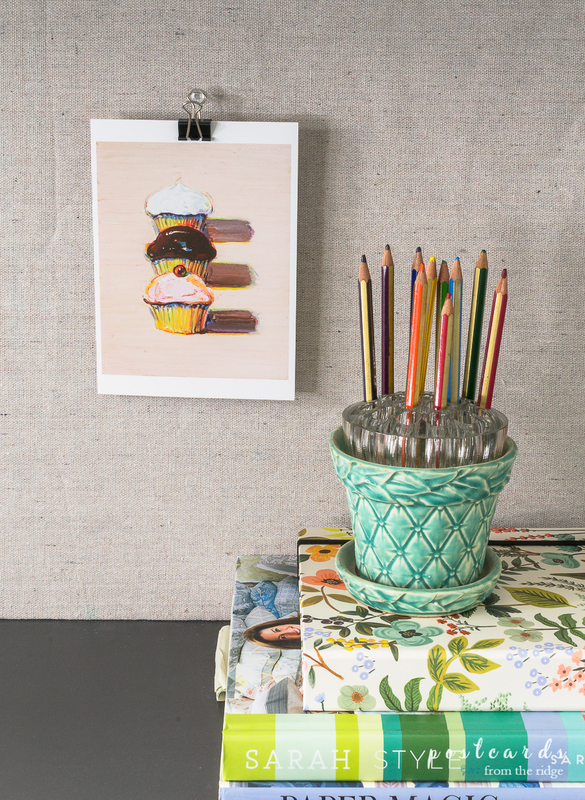 Here's how I found the gorgeous items on my inspiration board. For some of the items, I used the drop down menu and went directly to the category I was searching for. For inspiration, I did some scrolling through the "shop by room" feature. I love this because you can click on any photo and recreate the same look easily by shopping the exact items or very similar ones. They've done all the leg work. This entry is one of my favorites and all of the items shown can be found HERE. One of the best features of the site is the ability to save your favorite items to different lists, a lot like having pinterest boards. It's so simple. I saved the items I loved and narrowed down my choices from those. 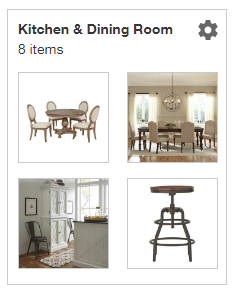 Adding items to your favorites lists is as easy as clicking a button. (2) This is extremely handy if you're doing an entire room. If you're ready to purchase, choose whether to pickup in the store (3) for free (in most cases), or have it shipped directly to you (4). Many items have free shipping and that's always a bonus. 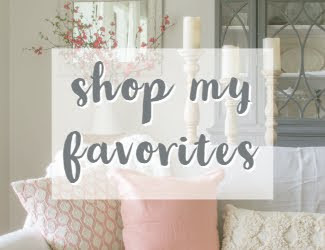 Any item added to your favorites lists will show up like the above screenshot on your "favorites" page. You can click on any list to see all of the items saved to it. I've always got projects in the works or in my head, so this is a great idea for me. I like how the lists show the items, as shown in the screenshot below. 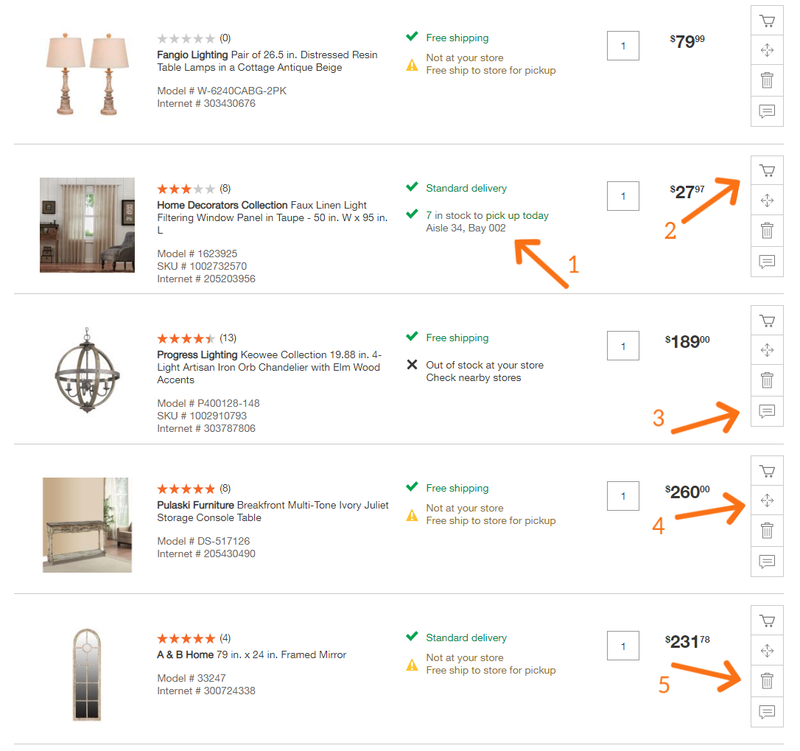 You can see if the items are in stock at your closest store (1) and add it to your cart (2). 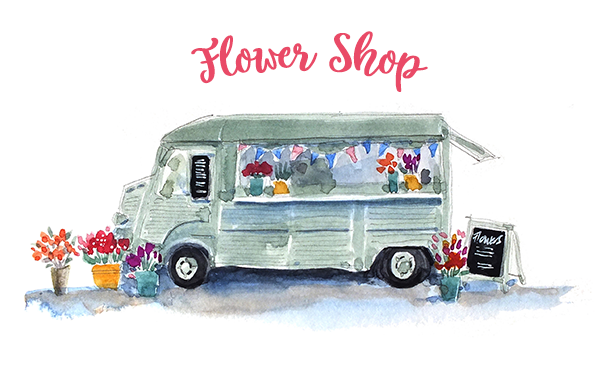 Did you know you can shop online and pick your order up at the store? That's such a time saver, especially if the item is already in stock. 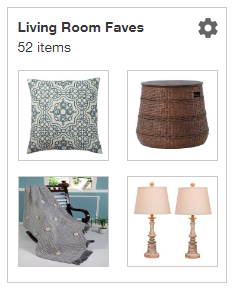 And that's for any items in the store, not just home decor. If you need to make notes or comments about an item, you can do that too (3). Items can be moved to different lists (4) or removed (5) if you're no longer interested in them. Casual theme with blue accents. Grasscloth on the walls for some subtle texture. Sofa and coordinating chair and ottoman are slipcovered and can be washed when needed. 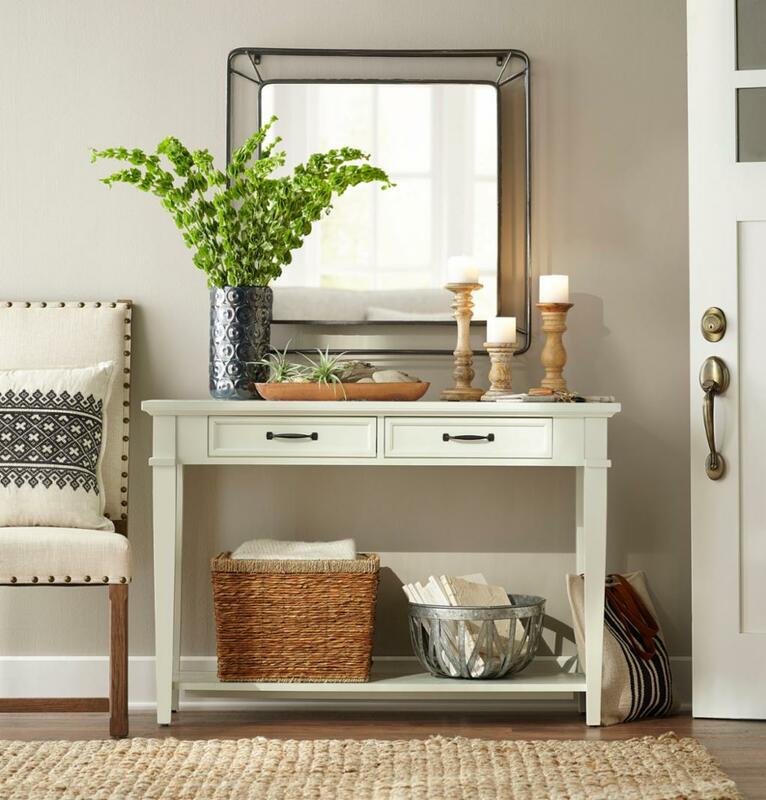 Mirror and console table have a vintage looking distressed finish. The pillows can be changed out seasonally if desired. Throw blankets add more texture and coziness to the space. The blue wingback chair has the look of worn blue jeans for more of the casual feeling. Baskets are a great way to store extra throws and pillows. I'll share the updates to our living room soon, so be sure to watch for that! You can order with confidence knowing that The Home Depot backs every purchase with a 100% satisfaction guarantee. Free shipping is available for most orders over $45, and various shipping options are available like in store pickup and home delivery. And if you need to return anything, you can simply take it to your nearest store. What room are you hoping to redo soon? Be sure to visit The Home Depot online for all your needs. What? I had no idea. This is wonderful news! So many great choices from wonderful manufacturers. A true game changer. I know! 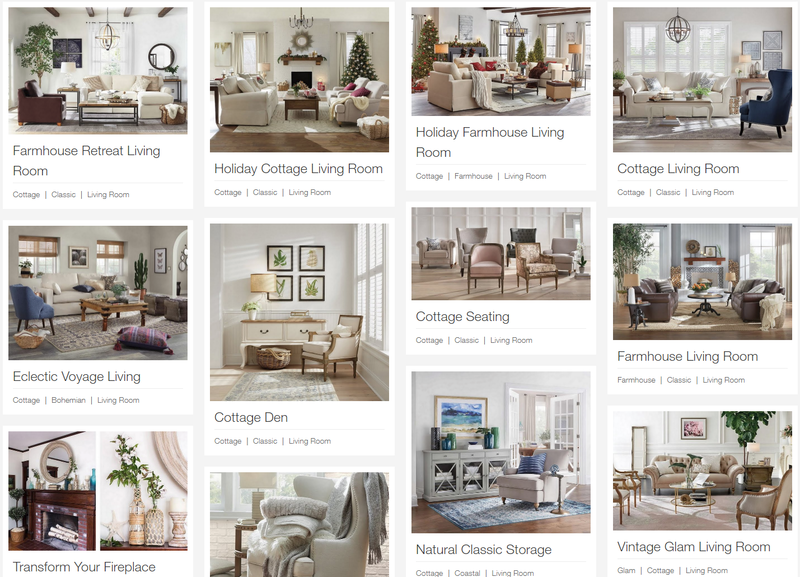 It makes redecorating a room so much easier to be able to find it all in one place. They sure do. I haven't had anything shipped to the store yet, but had a rug shipped to our house and it came in 2 days plus it was free shipping! Thanks! I was happy to learn about their furniture too! I've been telling myself that I need ot check out their home decor line as I've been seeing hints of it. THanks for the overview!! You really should check it out. I was surprised at all they have. 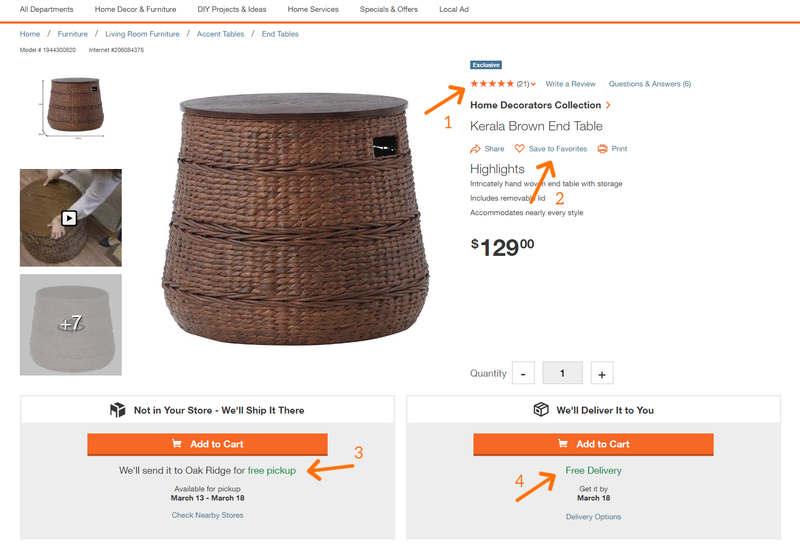 I didn't realize you could buy furniture from Home Depot! I think I need a couple of those pillows you had on your cozy, classic living room! I didn't either until recently and it's really nice looking. And I love those pillows! I had no c l u e! Haven't shopped Home Depot for many years as it is a bit of a drive from home. That may be changing in the near future! Thank you for sharing and always inspiring! Hi Pat. They can ship anything directly to you! It makes things so much easier. Thanks for dropping by and leaving a comment! I knew Home Depot and Home Decorator's merged, but I didn't know about that shop the room feature, love that! Thanks Angie i love Home Depot and didn't know about all this information. I can't wait to see your living room after your entry you redid was so pretty. Whoa. 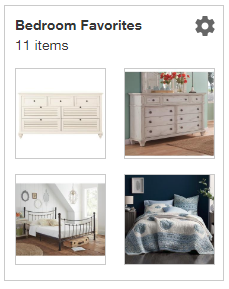 How did I not know that HD has great online decor? ?